BTG Pactual’s bosses are talking a positive game. Co-Chief Executive Marcelo Kalim reckons the Brazilian investment bank may be past the worst of the fallout from the November arrest of previous boss André Esteves. He and his colleagues deserve credit for swift action. As U.S. rivals can attest, though, recovering from a franchise-threatening event often takes years. 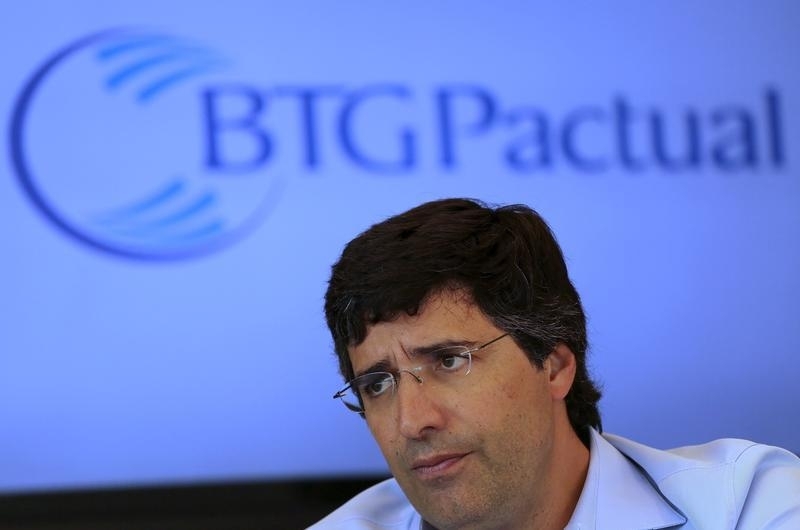 The headline number from BTG Pactual’s fourth-quarter earnings is consistent with past performance. The bank cranked out an annualized return on equity of 22 percent for the three months to December. The results relied entirely, though, on special efforts to shore up the firm. Some 2.6 billion reais ($643 million) came from the sale of stakes in three businesses owned by BTG Pactual’s principal investments unit and a fourth held in the corporate lending arm. Another 650 million reais resulted from a buyback of some of the bank’s own liabilities at a price below face value. That amount found its way into the trading division’s top line. Without those sales, revenue would have been just 278 million reais, and pre-tax earnings about 1.6 billion reais in the red. Kalim understandably believes sales and trading, investment banking and money management can keep the bank humming. Even stripping out the one-off gain from buying back debt, BTG Pactual traders had a good quarter, especially in commodities. BSI, the Swiss private bank that BTG Pactual bought last year provided most of the juice for money management, too. The trouble is, the bank’s directors may yet decide to sell BSI. Even if they don’t, core expenses are currently too high, which means a couple of rounds of cost cutting are probably around the corner. Even then, it won’t be easy for the bank to regain momentum. Morgan Stanley, Citigroup and Bank of America, for example, have still not managed to earn enough to consistently cover their cost of capital seven years after their own near-death experiences. Kalim and his team may find their own recovery taking longer than they expected. Brazilian investment bank BTG Pactual on Jan. 19 reported fourth-quarter net income of 1.29 billion reais ($304 million). Revenue was 3.52 billion reais and annualized return on equity was 22 percent. The results came several weeks ahead of schedule and included a gain of 2.59 billion reais from the sale of stakes in businesses owned mostly by the bank’s principal investments division. The bank’s trading desk also benefited from a 650 million reais gain from buying back some of the company’s own liabilities below their face value. The sales came after BTG Pactual’s co-founder and then-Chairman and Chief Executive André Esteves was arrested on Nov. 25. He was suspected of obstructing an investigation into corruption at state-run oil company Petroleo Brasileiro, known as Petrobras. Esteves quit four days later and exchanged his ownership stake in the bank with seven of its partners. BTG Pactual is considering selling other assets, including BSI, the Swiss private bank it bought last year. The value of the bank’s corporate lending portfolio was 32 percent lower than at the end of the third quarter as executives took steps to strengthen liquidity. The bank ended 2015 with 20.5 billion reais of cash and 87 billion reais of marketable securities and derivatives. Both amounts were lower than at the end of September but higher, according to the bank, than during the days before Esteves’ arrest.